We hired Steven and his team to complete a kitchen rehab, which turned into several more first floor rooms over the course of construction. Steven was fantastic to work with. He worked with the quirks of my older home, and his suggestions kept the style of the home intact. “We can do that,” was a common response when I wanted a change or addition – I loved this positive attitude. But the breadth of experienced work crews is what really sets Fredenhagen apart. High quality office personnel, and workmen in the field, from carpenters, to plumbers, cabinet-makers, electrical, painters, etc. Each person was respectful, very clean, and efficient. Steven is extremely cognizant of the schedule, which is so appreciated by us homeowners. He also did a great job of keeping us informed about what was happening each week and sometimes each day. Several weather emergencies took place during our project and Steven and crews were right on hand to fix the situation, even when it was not part of the initial project. It is nice to know you have a “deep bench” to rely on! The quality of our resulting space is amazing – compliments just keep pouring in! We will definitely use Fredenhagen on future projects! Nothing short of amazing! 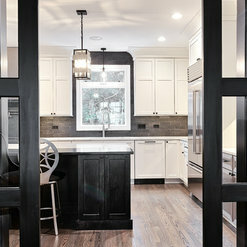 I hired Fredenhagen Remodel and Design to remodel my townhome. They did a complete renovation, new floors, kitchen, carpet, bathrooms, paint etc. The quality or their work is second to none. I have had really bad experiences with contractors in the past. Fredenhagen was literally a God send! Steven came and quoted the work. The price was very fair and in line with the competition. However, Fredenhagen was able to complete the construction in less than 6 weeks! Other companies were saying it would take 3 to 4 MONTHS. The Fredenhagen crew worked very efficiently. Mariyah was great at communicating and letting me know what was going on with the renovation. The design ideas were marvelous! 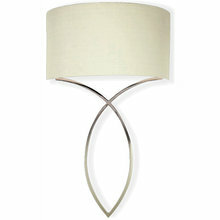 The quality of the products/materials are highend. I love my home now. You can't go wrong with Fredenhagen, they are the best! After 15 years of living in our house, it was time for us to do some updating and remodeling. 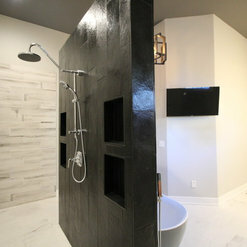 We found Fredenhagen Remodel and Design on Houzz and sent them an inquiry. Within 12 hours of my inquiry, Steven was at our house providing us with ideas on how we could remodel our powder room and 2nd floor bathroom that our boys use. We felt so at ease with his company and him, that my husband then asked them to complete his dream project of making the first floor of our house open concept by removing an entire wall. Though I was nervous about undertaking a huge project to my house and the cost, Steven and his wonderful, beautiful designer Mariya completely put me at ease. This project from start to finish took less than one month of working days! During this time, their fantastic crew kept the work sites tidy while still providing us with clean, livable space to conduct our lives in. Steven and Mariya were in close contact with us through every step of the way and we felt completely comfortable texting them when we had a question. When it came time to choose colors and tile, I met Mariya at the store, and she brought to life my vision of how I wanted my house to look along with her expertise of what she knew would work best for our space and our budget. Our house and the work they completed is beautiful and we could not be happier. We plan on having them remodel our kitchen and master bath in the future. Although I would love to keep this company a secret and keep them for myself and my home needs, they deserve all the praise, and credit in the world and everyone needsto know about them! 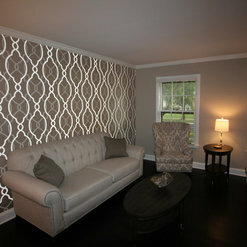 Thank you so much Fredenhagen Remodel and Design! Much love! See you soon!! When we started our search for a contractor, we knew we wanted to go with a one-stop, design and build solution to remodel our entire first floor. We had heard negative stories about people who decided to use one company for the design work, and then use another company for the construction phase. We spent quite a bit of time on the internet researching different design and build contractors in the local area, both via websites like Angie’s List and Houzz and found a few likely candidates. 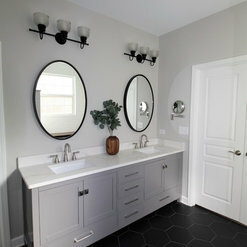 We found Fredenhagen Remodel & Design through Houzz. We read all the reviews on Houzz, Angie’s List and Yelp and noted that they were all very positive. So, after reading the reviews we requested an estimate. Our first meeting was with Steven Fredenhagen and Mariya one of his designers. The first meeting was an hour long meeting where we spent about half the time discussing what we were looking for and the other half walking around the house talking about what was possible. After our meeting with Fredenhagen we met with several other contractors and designers to do some comparisons. Most of the other contractors and designers didn’t really provide us with ideas or suggestions; they mostly just asked what we wanted. When I started asking one of the designers what he thought about Fredenhagen’s suggestions, he said that we needed to hire him before he would provide a lot of design ideas. After all the meetings and getting all the estimates we narrowed our options down to Fredenhagen and one other design and build company. In the final meeting where we went through the final designs, Steven and Mariya took us through how they were going to get the project to flow through the whole house and provided us with about 20 different references that we could contact. When we went into our final meeting with the other firm, we asked some small design questions about how they would address refinishing the bannister and they told us we would need to find someone else to do that work. We took Fredenhagen’s list of references and called a few clients on the list. Every client that we contacted had nothing but great things to say about Steven and his team. 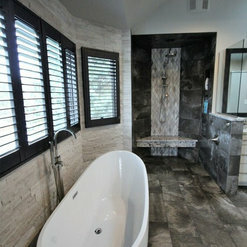 After talking to the references we decided that Fredenhagen Remodel & Design was the way to go. We signed the design and construction contract and began picking out the material options for our renovation: cabinetry, plumbing fixtures, options for the hardwood floors, lighting options for all four rooms, and the quartz for the kitchen countertops. This process was made easy by Fredenhagen; by providing an allowance quote for every item in their original quotation, we could decide if and where we wanted to stretch the budget. The allowances were generally spot-on, and we chose where we wanted to upgrade. Once the selections were all made, Steven updated the cost estimate and we made a few changes to meet our budget requirements. We were now ready to move on to the actual construction phase. We met with key members of Fredenhagen’s construction team – Tommy, and Tim who have been with Fredenhagen for years. Tommy was the on-site construction leader, who worked on our renovation from start to finish. As this phase began, we met with Steven, Mariya or Tommy at our house every week, to review progress and discuss the next week’s activity. Even more importantly, we resolved unforeseen issues – in most cases, things that we thought of that could improve our project. This would require Steven and Tommy’s input on feasibility and cost. And each week, we would confer with the team to review final decisions on construction. 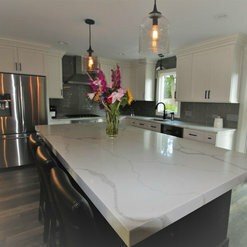 We were extremely impressed with every aspect of the project. Steven’s and Mariya’s design ideas were amazing. The whole team was extremely helpful and always open to our questions. They always left the construction area very clean and were great with our young kids who would occasionally run through their work area. With the project completed, we would say that not only are we extremely happy with our renovation, we feel we have become friends with the folks at Fredenhagen Remodel & Design. Their attention to detail is unbelievable, and it shows in the final product. We have already talked with Steven about a few other projects in our home and would highly recommend Fredenhagen Remodel & Design. Steven, Mariya, Tommy, Tim and the rest of the team really go out of their way to make the project run smoothly. I went into this project thinking this was going to be a long painful process, and in the end it was as painless as you can ever hope for. 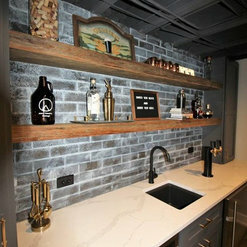 We had Fredenhagen Remodel & Design build out our unfinished basement and we couldn't be happier with how it turned out. It is truly the man cave that I have always dreamed of. We met with numerous contractors before deciding who to go with and once we met Steven, we knew that he was the right person for the job. We had a general idea of what we wanted, but nothing too specific (just how we wanted it laid out). Steven had great ideas for the space and we ended up just letting him run with his ideas. The result was a beautiful basement that we couldn't be happier with. His entire staff was so courteous and friendly. We were not home most of the time while the basement was being finished and his entire crew treated our home with so much respect and cleaned up at the end of each day. This was one of the best experiences we have ever had in regards to work around our house and we will definitely be using Steven and his crew for all future house projects. 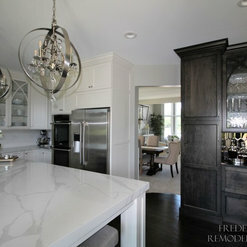 We highly recommend Fredenhagen Remodel & Design for any of your home projects. They won't disappoint you. 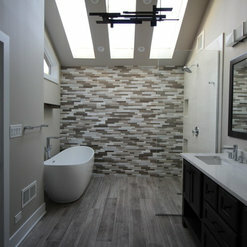 We recently had Fredenhagen Remodel & Design do our bathroom project. A project I was not looking forward to undergo. That quickly changed after Steven came in with his high energy and fantastic designs. They have a great team of people to work with and have open communication. Thank you to Tommy for being such a help part of running this project for us. All the guys are really friendly, clean, and respectful. I will no longer put off any remodeling projects as long as Steven and team will come back to do the job! We have already recommended them to our friends. i previously gave Steven a poor review. I mistakenly only tried to contact his company via an assistant instead of trying to reach Steven directly. Once he realized I had a problem he addressed it and corrected it promptly. My new bathroom is stunning . Our project included finishing our basement, moving our laundry room upstairs, and updating our mudroom to accommodate more storage. We had a specific style in mind for our basement, yet wanted guidance and feedback regarding design ideas. After meeting with several contractors that had the same basic basement design, we were so happy to meet with Steven from Fredenhagen Remodel and Design. Steven seemed to understand our vision right from the beginning and furthermore, was excited to give us his suggestions and was able to work within our budget. We were interested in creating a fun entertainment space with an industrial feel, yet have it be cohesive with the rest of our house. We could not be happier with the results! 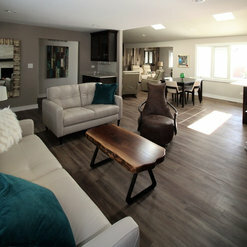 From start to finish, working with Fredenhagen Remodel & Design was an enjoyable experience. Steven and everyone that works for him quickly proved themselves to be professional, trustworthy, and extremely knowledgeable. Steven and his assistant, Mariya, were excellent at communication- we could text questions and they would respond quickly. Steven keeps a tight schedule; we were pleasantly surprised at how quickly things moved along- only pausing when we needed extra time to make decisions. From the drywall crew, to tile work, electricians, plumbers, painters and his carpenter, Tim - every person that entered our home was respectful, polite, and very courteous of our space. The workspace was cleaned up at the end of each day, and we were thrilled at how neat and tidy everything was. Anytime there was an unexpected decision, or we changed our minds about a design choice, he rolled with it and accommodated us. I was concerned about storage space in the basement- he bumped out a wall and created hidden doors to squeeze every last inch of storage out of the space as possible. We had barn wood from a family farm we wanted to incorporate into the bar- we love how it came together. I could go on and on about the details they helped us with! I do not feel you would get that kind of help from other contractors. The biggest thing that really stood out to us, that needs to be mentioned, is that it was very obvious that Steven loves what he does. He cares about his work, and wouldn’t settle for anything being done less than 100%. He went above and beyond to help us create exactly what we were looking for. 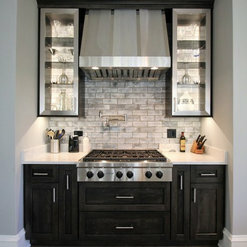 We HIGHLY recommend you hire Fredenhagen Remodel and Design, we will absolutely use them again for future projects. I had Fredenhagen provide an estimate/quote to finish my basement. They were in line with most estimates I received but really went above and beyond in taking their time to walk through concepts, not rushed at all. Well before the start date we had already defined flooring, doors, trim and they provided a schedule for the entire remodel. They kept the schedule, worked full days, and kept the area as clean as possible. Easy to get a hold of and always responded to calls/texts/emails within hours. Overall was extremely satisfied and would recommend using them. 10/10 rating in my book. Our remodeling project was on a 50 year old house that had been remodeled several times. 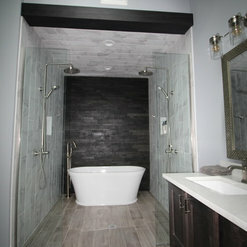 Our initial plan was to gut and replace two bathrooms and enlarge our master bedroom closet. The project expanded to making significant improvements throughout the house and basement including sanding and re-staining all hardwood floors and painting the entire interior of the house. In the end, every room had been at minimum refreshed and some were completely transformed. From the beginning Steven and his team displayed a very customer focused attitude even when dealing with the “surprises” our house presented. They constantly stressed that they wanted us to be happy with the final product. As the project progressed Steven proactively suggested changes on the fly. Everyone who worked on our house was extremely courteous and made extra efforts to do quality work. Because of the constantly expanding nature of our project the target date for completion slipped, but they worked diligently to complete things as soon as possible. 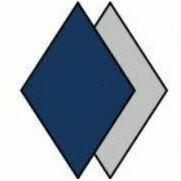 Fredenhagen Remodel and Design is a very dependable and trustworthy company with exceptional people. They deliver what they say and then some. We are delighted with the final product and highly recommend them. Steven Fredenhagan transformed my 1959 dated ranch home into a 2017 masterpiece. The creativity and design were exceptional well beyond my expectations. The entire Fredenhagan family was a pleasure to work with, clean friendly and dependable. I would highly recommend if you desire top quality and service! Commented: What are the dimensions of the shower?Hello Shannylee_22, the dimensions for this bathroom are 60" x 66" (inside dimensions). I hope this answers your question.